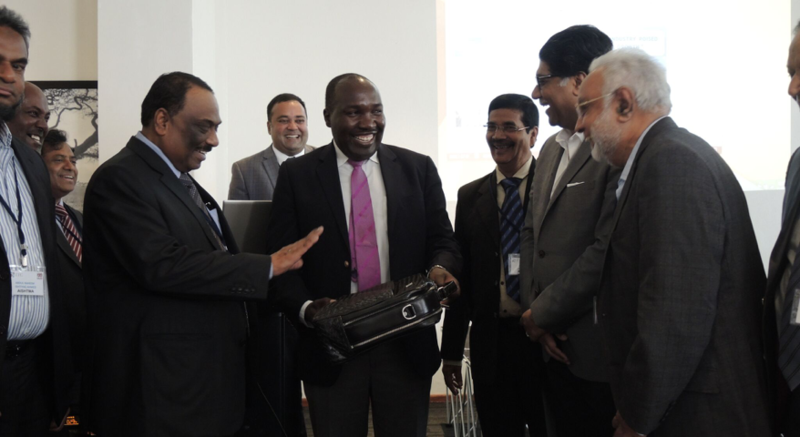 AISHTMA President, Mr. Rafeeque Ahmed presents Principal Secretary Julius Korir with a leather bag from India as AISHTMA Secretary S Mohammed Hassan and SITA Coordinator, Govind Venuprasad look on. These were the words of praise for the International Trade Centre’s (ITC) Supporting Indian Trade and Investment for Africa (SITA) project from the Principal Secretary in the Ministry of Industry, Trade & Cooperatives, Julius Korir, as he opened the first ever business networking meeting between key Kenya leather sector stakeholders and the visiting high powered delegation from the All India Hide and Leather Tanners and Merchants Association (AISHTMA) at the Dusit D2 Hotel in Nairobi on November 25th, 2016. 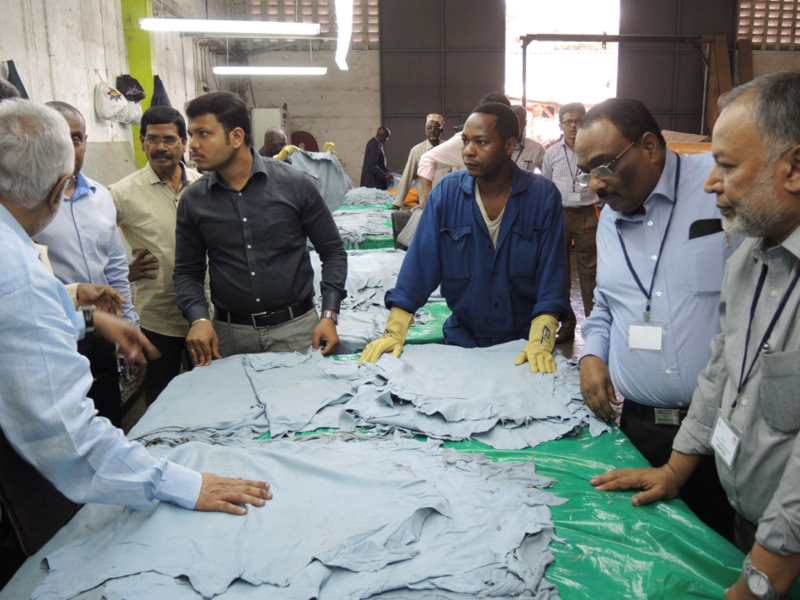 The AISHTMA delegation, led by Mr. M Rafeeque Ahmed – a dynamic and respected leader of India’s leather industry – were in town to explore trade and investment opportunities, and partnerships, with the tannery sub-sector in Kenya. During the well-attended breakfast networking meeting hosted by the SITA project and the Kenya Leather Development Council, the AISHTMA Secretary Mr. S.Mohammed Hassan gave an overview of the association’s activities in India. He pointed out that India was interested in investing in tanneries in countries such as Kenya with abundant availability of raw materials as well as providing them with the necessary capacity building support through upgrading of machinery, environmental safeguards and transfer of leather processing technology. In his remarks, Principal Secretary Korir stressed that the networking meeting played a crucial role in positioning the Kenya leather industry in the global market as well as strengthening partnerships. The ministry takes its responsibility for promoting the growth and development of the leather industry very seriously and it is for this reason that plans were underway to develop a leather industrial park that will have a best in class common effluent treatment system with India’s help. AISHTMA was founded in the year 1917 under the name “The Southern India Skin and Hide Merchants Association” (SISHMA). SISHMA was then serving the leather trade and industry of southern India. In 1978, it was converted into an All India body and renamed as “The All India Skin and Hide Tanners and Merchants Association”. The Association is an apex body which represents both Central and State governments on matters of import-export policies, labour, and taxation. 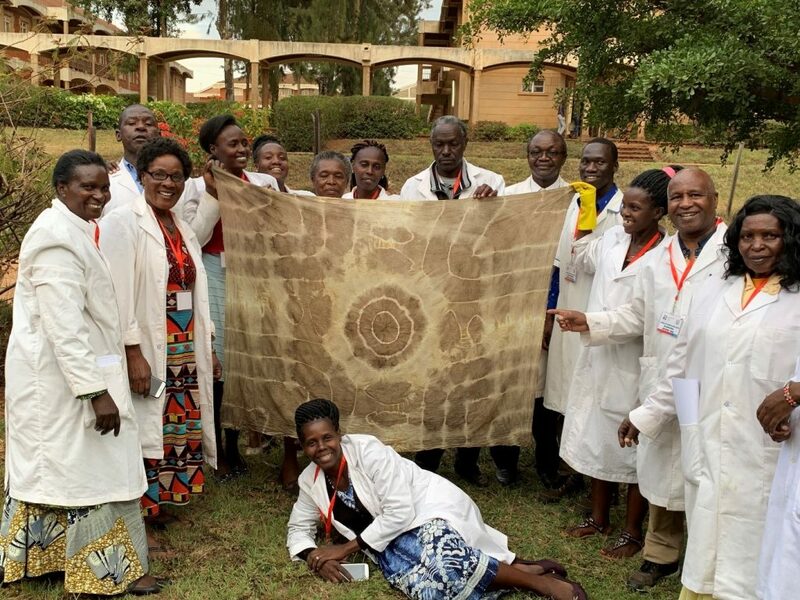 The potential knowledge and technology transfer from this organization to the stakeholders in Kenya’s tannery sub-sector in areas of leather processing, leather value chain management and world class eco-friendly effluent treatment technology is undeniable. The AISHTMA delegation visited several tanneries during their 3 day visit to Kenya to get a sense of the current operating capacities. During these visits, they held detailed discussions with the tannery owners culminating in several orders for wet blue leather from Kenya. 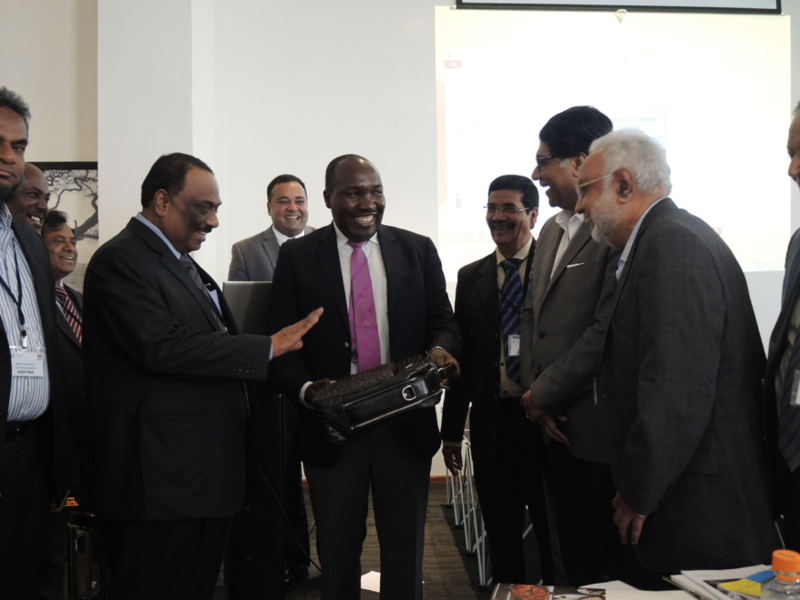 They also had the opportunity to meet with India’s Deputy High Commissioner to Kenya, H.E. 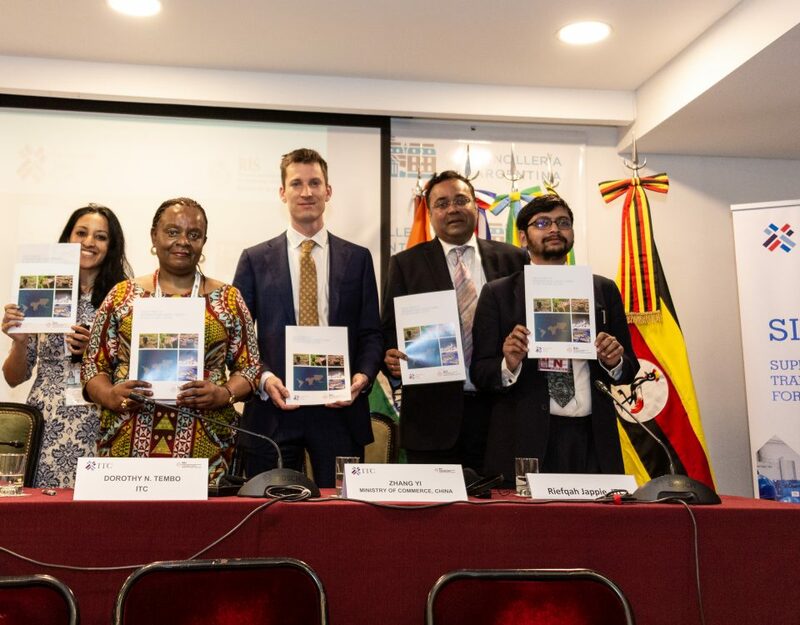 Rajesh Swami and discuss the current and future status of Kenya and India’s bilateral trade and investment agreements and how these could be successfully leveraged to expand processed leather trade between the two countries. 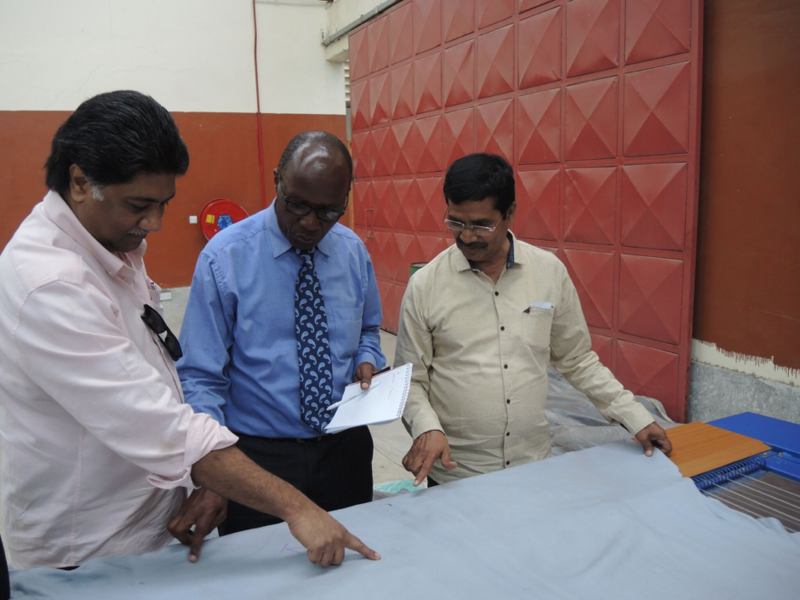 AISHTMA delegation examine wet blue leather samples during their visit to Aziz Tannery in Kenya. AISHTMA delegation are shown premium wet blue leather for export by Robert Njoka at the ultra-modern Reddamac Tannery outside Nairobi. A visit to Kenya would not be complete without a tour of the world-famous Nairobi National Park – the only park in the world with a modern city as a backdrop! 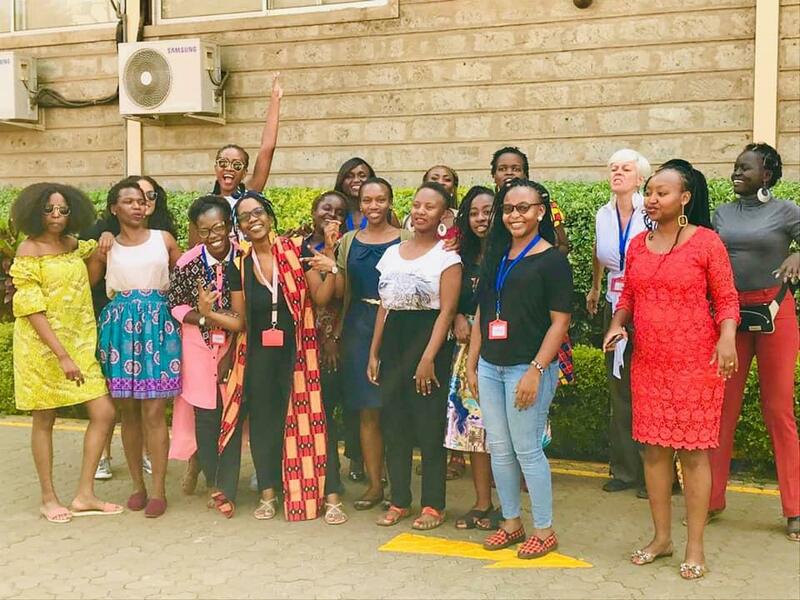 The delegation also got to visit the Elephant Orphanage and Giraffe Centre situated in the outskirts of the city before catching their flight out of Kenya. “3 days well spent!”, was the general consensus amongst the team. 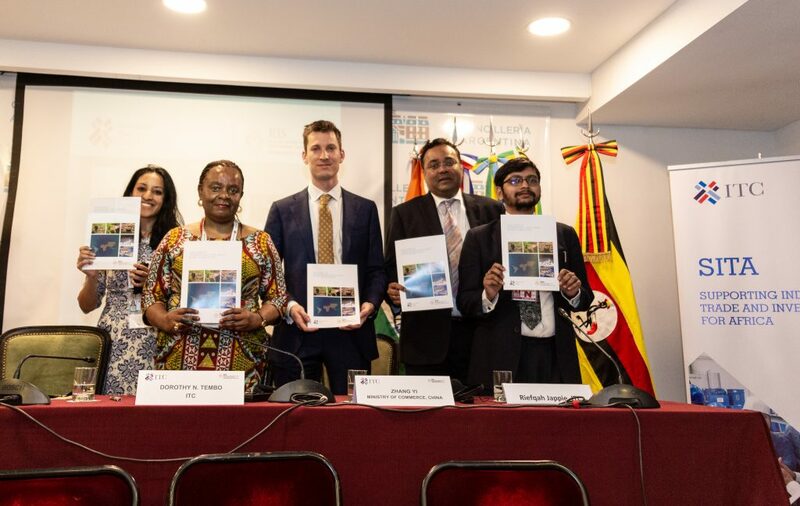 The SITA leather sector strategy is supported by ITC and implemented through the link institution –COMESA/LLPI and the focal point – the Kenya Leather Development Council or KLDC. The project is being implemented in Kenya, Uganda and the United Republic of Tanzania. 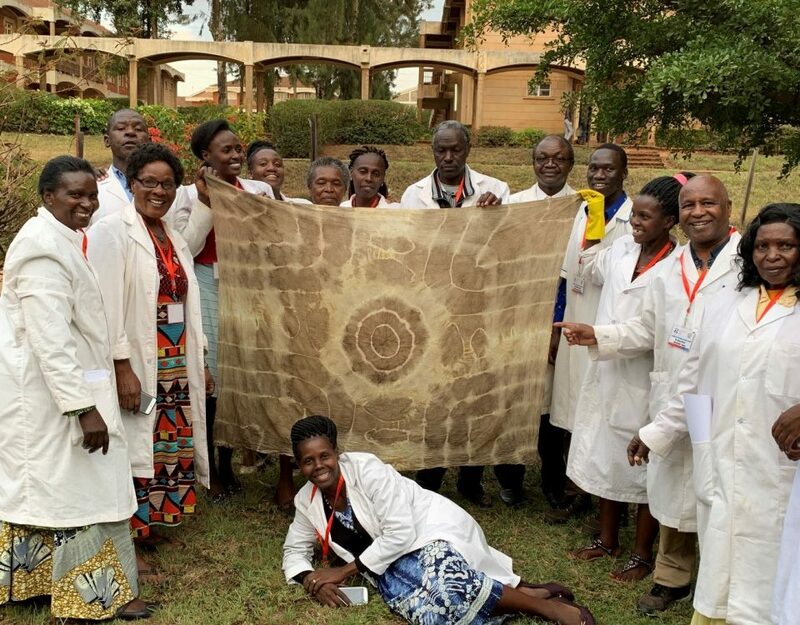 In Kenya, the key area of focus is leather processing at the tannery level, with the aim of upgrading tannery processing capacities from wet blue to quality finished leather that may be consumed in the local, regional and international markets.